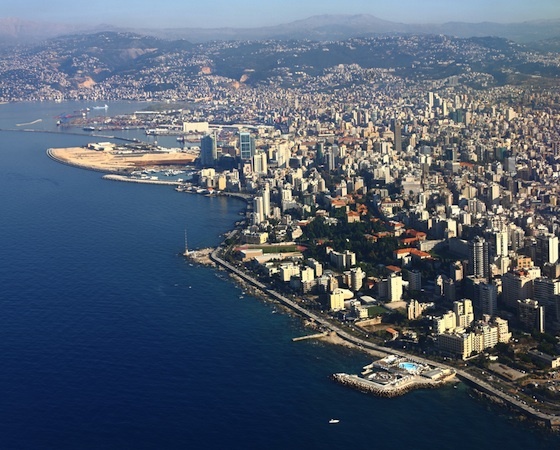 The mayor of Lebanon’s capital Beirut has launched “Beirut is Amazing,” an ambitious plan to finally green up the infamous concrete city. Following dedicated activism and scores of complaints from urban planners and designers, the city recruited the private sector to help regenerate existing green spaces and to create a few more. But Horsh Beirut, which constitutes 77% of the city’s green lung, will not be opened to the public yet, though mayor Bilal Hamad told The Daily Star that studies are being conducted to determine how to manage the park so that it is not destroyed. Meanwhile, a coalition of 12 non-government organizations will stage guerrilla picnics tomorrow at 13 spots throughout Beirut as part of ongoing efforts to gain access to the park, which has been closed for 20 years. The Beirut is Amazing plan will improve green spaces and encourage residents to interact with one another on more attractive and accessible streets. Sanayeh Garden is one of the first parks that will be cleaned up. Originally established in 1907, it has become a run down area that will soon be revived with a new play area for children, spaces that encourage reading, an exhibition space and running track, and more trees will be planted as well. This decision was taken after Zeina Majdalani with Azadea surveyed the park and existing infrastructure. St. Nicolas garden in Ashrafieh will also be renovated and work to restore Corniche al-Mazraa is already underway. Finally the green edge of Beirut’s Hippodrome, presently used by elite horse racing enthusiasts, is slated to become “Beirut’s Central Park.” The Ile de France municipality helped to develop a master plan and studies are expected to be finished within the year. Despite critics, Mayor Hamad claims that he is committed to giving the Lebanese their capital back. Let’s hope this isn’t a case of too little too late.